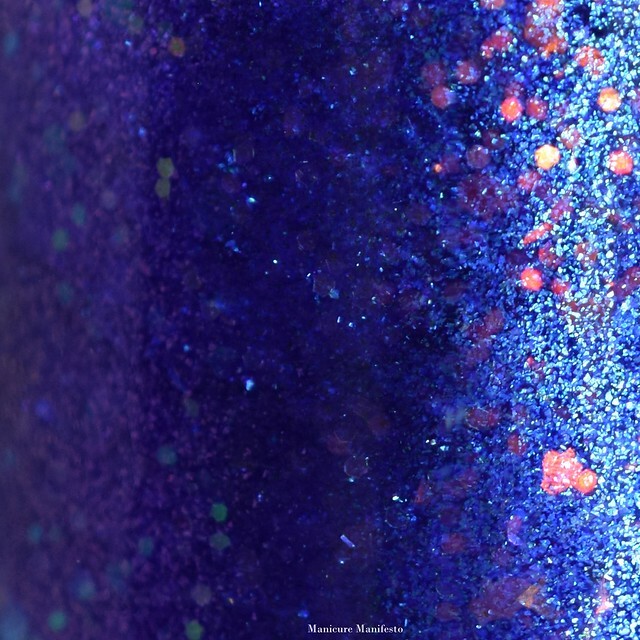 The Need For Bead features a fuchsia jelly based filled with a strong blue shimmer and pink to green and blue to purple shifting iridescent flakies. 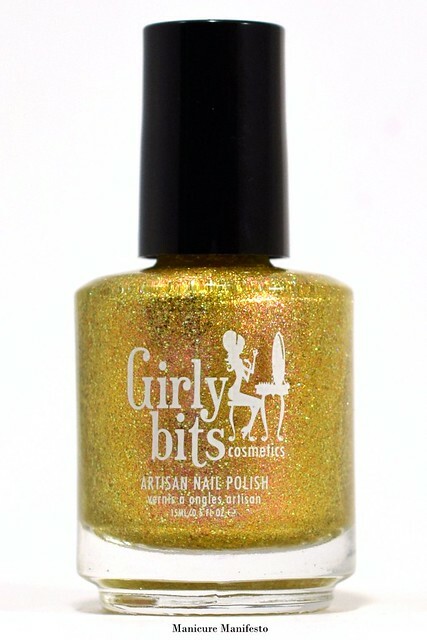 The formula was easy to work with and surprisingly pigmented for a jelly base. I sued two coats for full coverage. 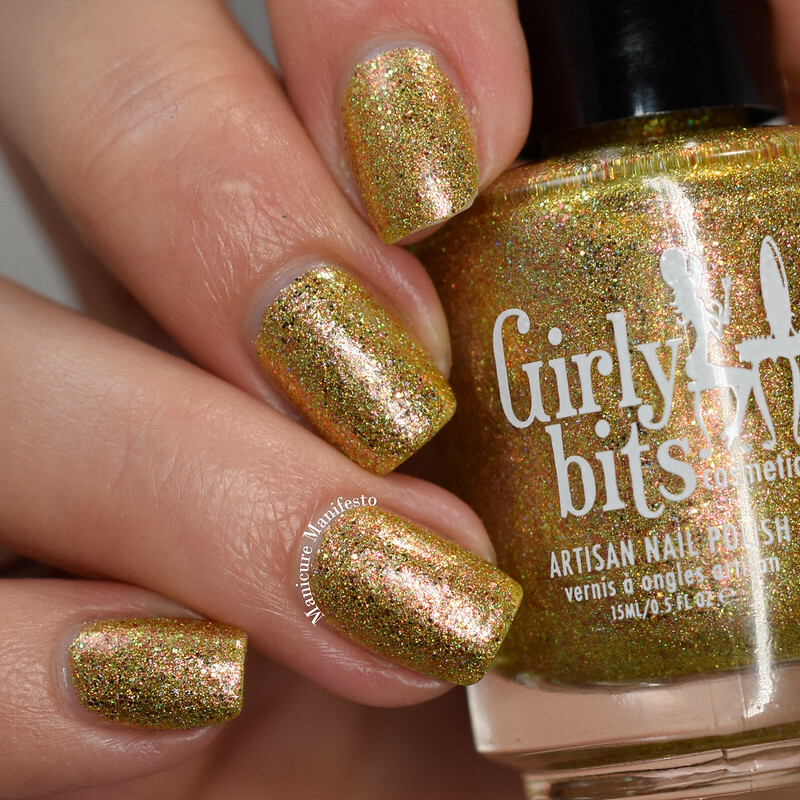 Photos show two coats of The Need For Bead with one coat of Girly Bits Cosmetics Glitter Glaze top coat in daylight spectrum lighting. 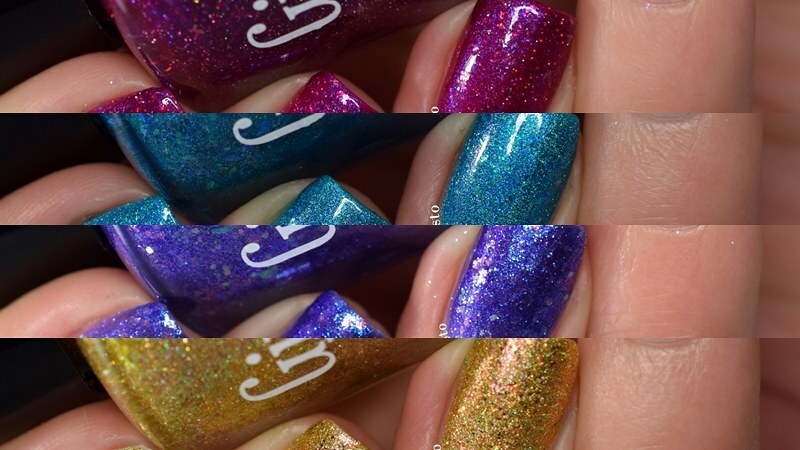 I'll Stand Bayou features a bright aqua holo base with turquoise and violet iridescent flakies. 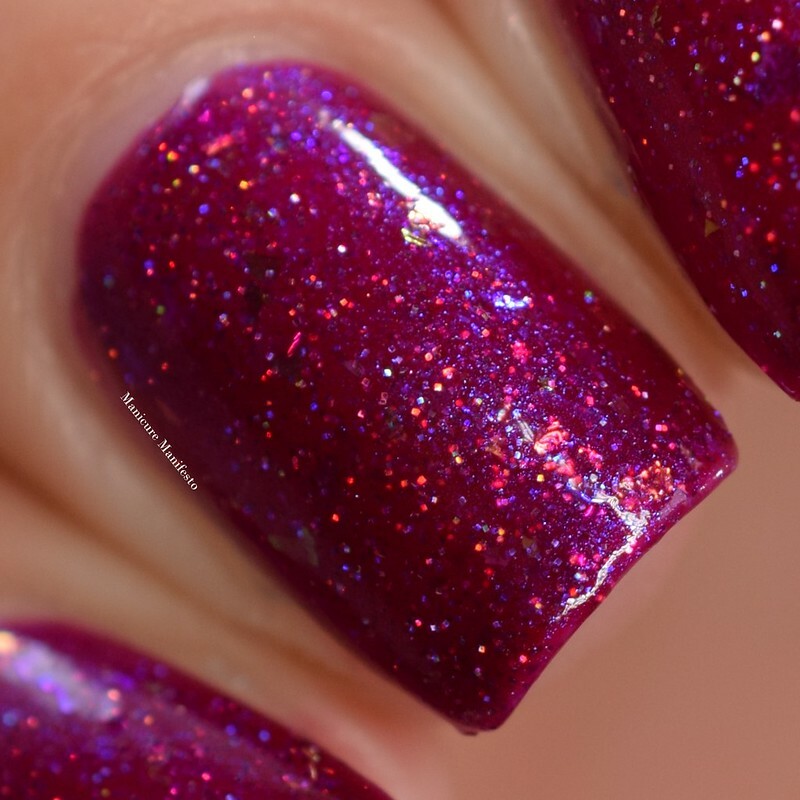 The formula was easy to work with and took three coats for full coverage. However, it was so close after two that if you have shorter nails or a less distinct nail line than me two will likely be enough. 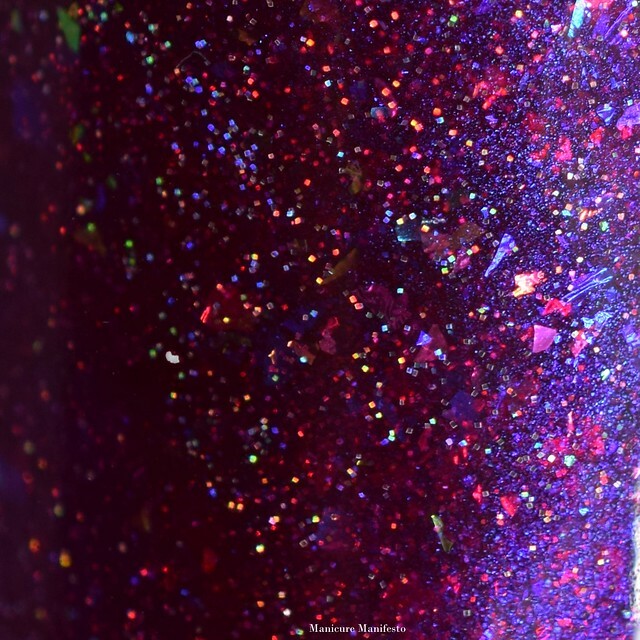 Photos show three coats of I'll Stand Bayou with one coat of Girly Bits Glitter Glaze top coat in daylight spectrum lighting. 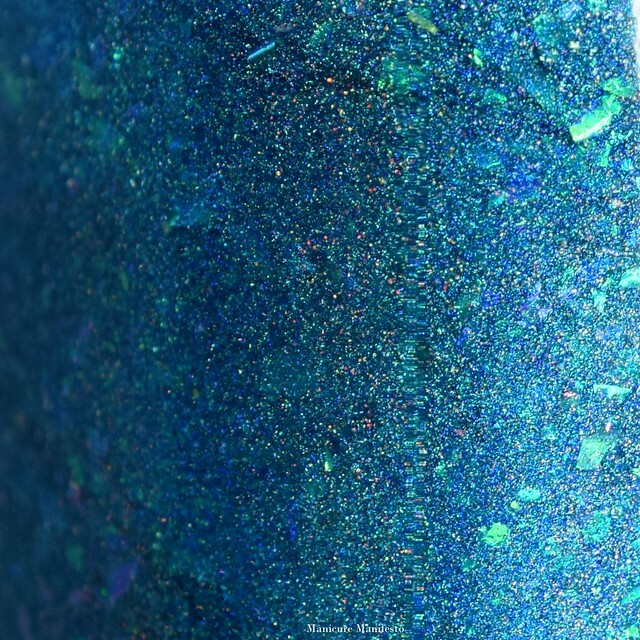 Flash Your Tips Too is features a medium blurple base with a strong turquoise shimmer, small red to gold shifting glitters and red to gold shifting iridescent flakies. The formula was easy to work with and took two coats for full coverage. 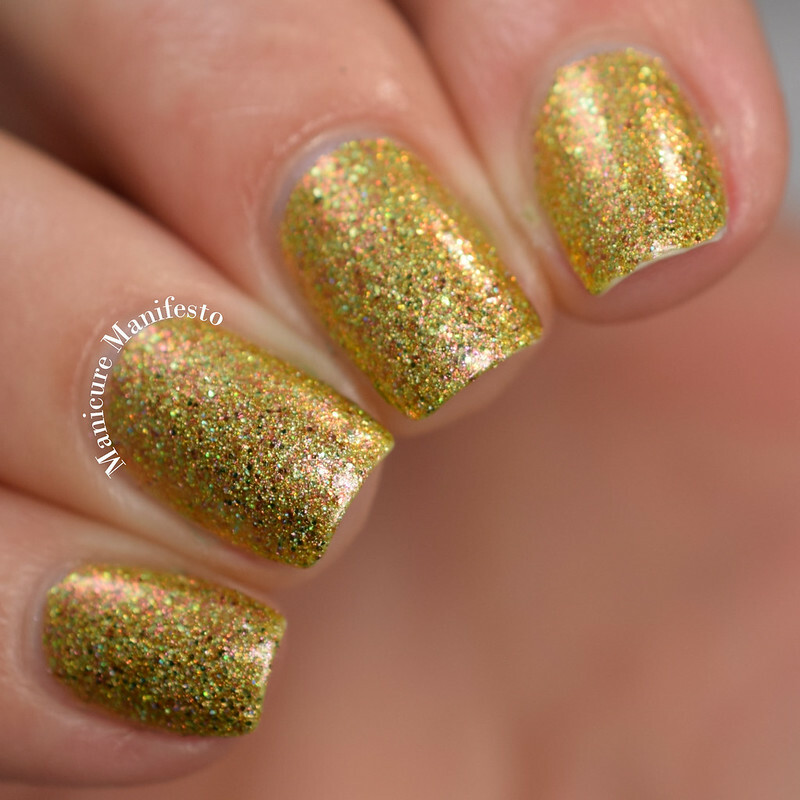 Photos show two coats of Flash Your Tips Too with one coat of Girly Bits Glitter Glaze top coat in daylight spectrum lighting. 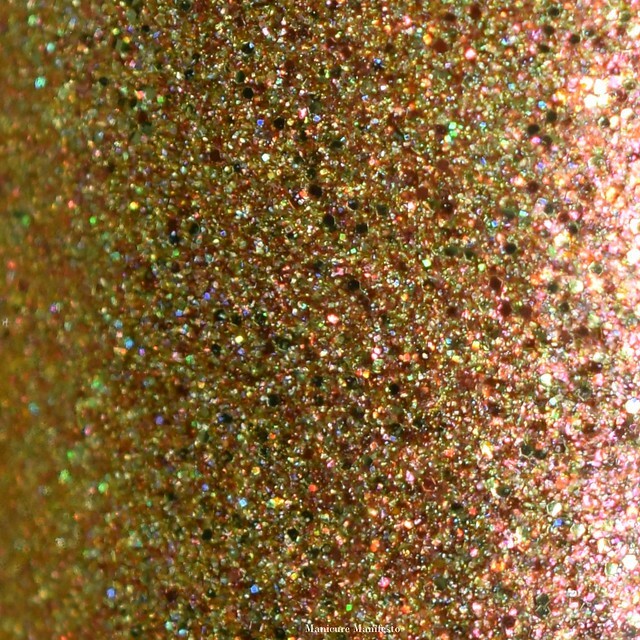 Sax Me Up features a yellow gold holo base filled with red shimmer, tiny pink flakes, green and pink microglitters and a sprinkling of holo shimmer. The formula was easy to work with and took two coats for full coverage. 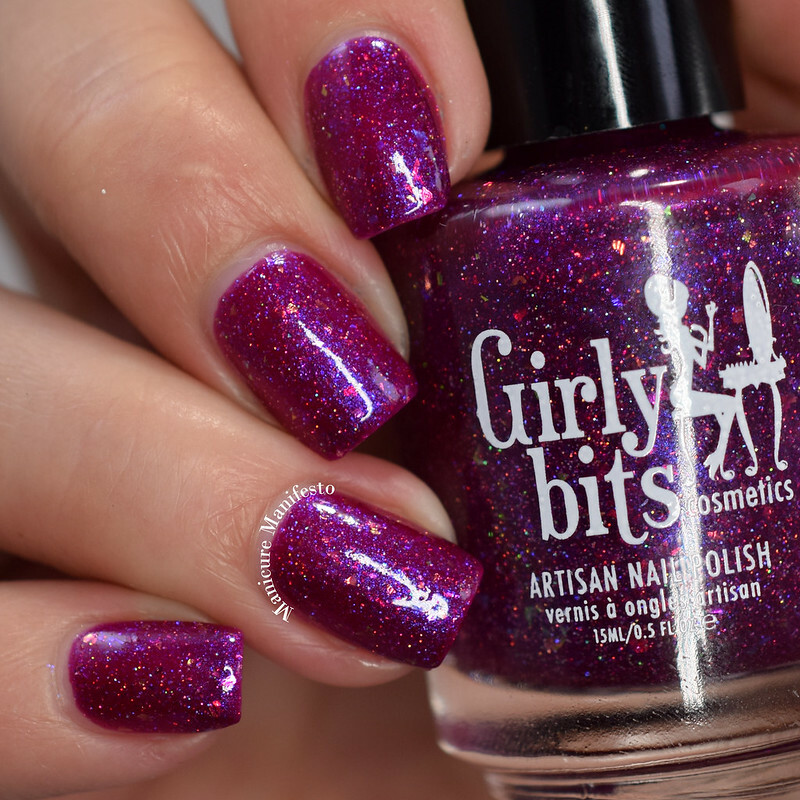 This shade dries down with a bit of texture so you'll definitely want to add top coat. 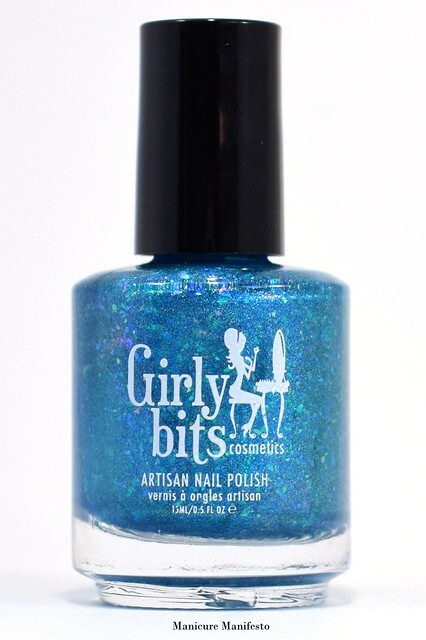 Photos show two coats of Sax Me Up with one coat of Girly Bits Glitter Glaze top coat in daylight spectrum lighting.